Leading Service Provider of vibration monitoring devices from New Delhi. In order to fulfill the needs of the customers, we are also engaged in trading and exporting Vibration Monitoring Devices. Complying with international standards, these devices are manufactured by using high-quality components and employing modern technologies. 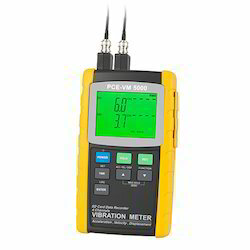 Looking for Vibration Measuring Equipment ?